The Blade Runner connection comes from Musk's earlier description of the pickup's styling, when he said it would have "really futuristic-like cyberpunk Blade Runner" looks. The aesthetics could be so far out there that they "may be too futuristic for most people." The image has attracted plenty of hypotheses, as Internetters try to figure out what possible angle the image could show. We think the best guess comes from Reddit user TheAmazingAaron. He thinks the "T" logo sits at the end of a bed cover, the light beam running around the end of the bed and angling into the bed sides. 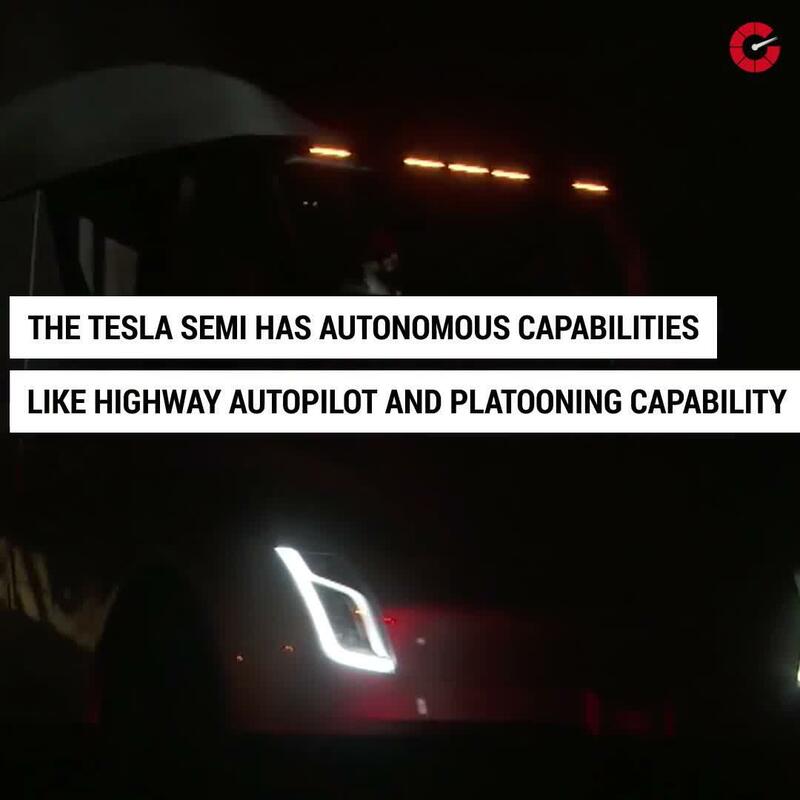 It's a believable guess even considering the early pickup sketch shown during the Tesla Semi reveal in 2017. That question and so many others should be answered sometime this year, Musk having tweeted that a reveal is due in 2019. We've been told that the pickup will be big enough to seat six people, will have a load-leveling suspension, and that it's Musk's favorite project. He also said the battery powering the standard dual motors might be good for a range of 400 to 500 miles and "maybe higher." Of course, we've also been told this will be "a pickup truck that can carry a pickup truck." That's a wide range of data points to try and fit into a single pickup, even one with a bed big enough for another pickup. We're looking forward to whatever it is, and we'll be ready for anything.